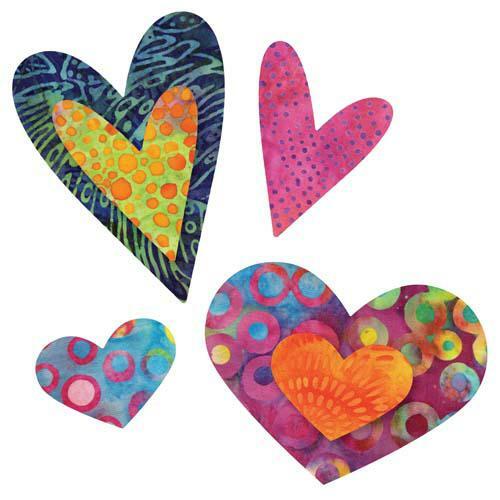 Theme: Cuts 4 different hearts: 2" W x 1-3/8" H (5.1 cm x 3.5 cm), 2" W x 2-5/8" H (5.1 cm x 6.7 cm),,3" W x 3-7/8" H (7.6 cm x 9.8 cm), 4" W x 3" H (10.2 cm x 7.6 cm). Requires a 6" x 12" mat,(55112) and an AccuQuilt GO! (55100) or GO! Baby (55300).